Designer villa, located in the heart of Sierra Blanca situated on a corner plot with a lot of privacy. The villa represents an accumulation of a lifetime of superlative design features including the use of a unique, exquisite Arabian marble in the bathrooms – obtained from the private quarry of a Saudi prince. In addition, the property has benefitted from a €1.25M renovation by the current owners, including development of the lower level to include an unbeatable private cinema and bar, with 9 Italian leather recliner armchairs, private spa and gym. The interior decoration of this house is extremely high, including Italian silk curtains throughout, and the very best furniture materials. 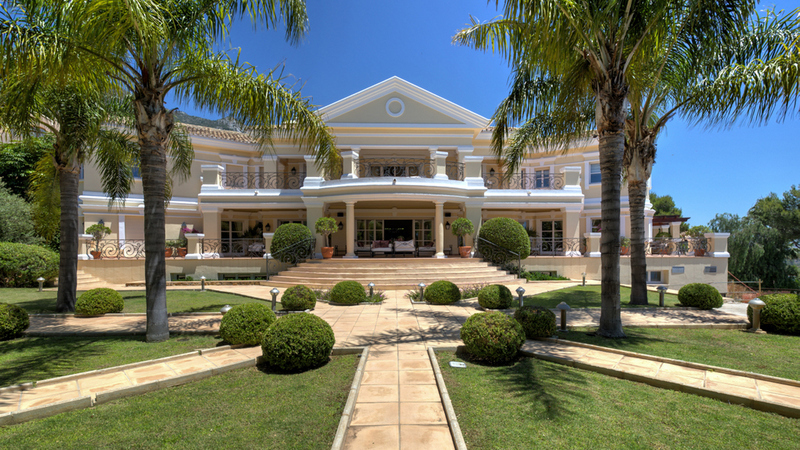 Inside, on the ground floor, the property offers a large lounge with triple height ceiling opening onto the covered main terrace, garden and pool with sea view, a grand dining room with vaulted ceiling and candelabra feature, 2 fully equipped kitchen areas, including chef/party catering and breakfast area, 2 guest bathrooms, and three, en-suite double bedrooms with dressing areas, as well as the impressive entrance hall and staircase with an interior palm tree. Price reduced from €6.750.000 to €5.950.000. 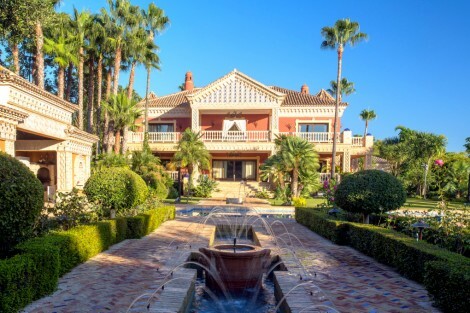 Please, send me more information about ref W-0231IE, Villa in Sierra Blanca, Marbella Golden Mile or similar properties.